As far as the game goes, I’m shocked by the Steelers losing this game. I mean, anything can happen in a game in the NFL…but for the Steelers to be at home on SNF and be so flat is odd. This was a big game and the Steelers didn’t answer the bell, and thus the bane of my football existence…the Baltimore Ravens…a team I never get the right read on…they pull into a tie with Cincy for 1st place in the NFC North. The schedule is coming to get the Ravens the next few weeks…which means they’ll go 5-0 before their Week 10 BYE. I think they go 2-3, possibly 1-4 the next five and start to come off the rails a bit. So, yeah…definitely, 5-0 next five. Not a lot of shocking things from this game, so we’ll hit some player notes and then end on James Conner/Le’Veon Bell. 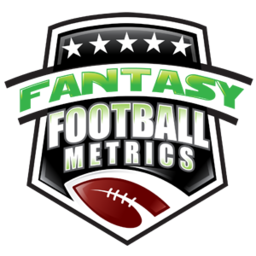 -- Big Ben (27-47 for 274 yards, 1 TD/1 INT) had been fantasy-rolling before this game. He didn’t look bad, just not the Steelers best performance. If you want to go after a QB to hang with the young guns…Big Ben is that veteran guy, for me, above Drew Brees…and maybe even Aaron Rodgers (taking out the Rodgers injury risk). Ben trades much cheaper than those guys usually. He’s an underrated fantasy star potential for 2018. The lack of a great running game helps push Ben’s passer numbers. Also, before I forget…the Steelers have been down 1-2 key O-Lineman for the past few weeks…not helping the running game/Conner either. -- For whatever it’s worth… Antonio Brown has no 100+ yard games so far this season. He’s been held under 70 yards the last three games (59.7 per game the past three games). Whenever I point out any sluggishness in Antonio’s numbers, he then goes for 12 catches, 180 yards and 3 TDs the following week…so, you’re welcome. Just for discussion points…Brown is looking disinterested, to me, again. Two weeks ago, they had that ‘incident’ with him whining/jawing on the sidelines. I’m not saying he’s cooked…just pointing things out. Watching. Wondering. I’d be more a ‘buy low’ on Antonio right now for sure. -- Ryan Switzer (7-32-0/7) sure got a lot of work but didn’t generate much of anything besides catches. He worked like Ben’s personal Edelman/Beasley. I kinda like Switzer in that role. You know how Ben holds on to the ball to an uncomfortable point (and then makes a great throw you can’t believe)…Switzer scurrying around in front of him as the #3/slot WR isn’t crazy. If Juju (4-60-0/11) moves to a traditional WR role, from the slot…his numbers dip. They did here. It will be interesting to see if this was a one-time thing or they Steelers have found a new thing. Whatever it is/was…didn’t help them win this game. Vance McDonald (5-62-0/5) is really looking more and more comfortable with Ben, with this offense. He’s such a talent. He’s chipping away at becoming a low-end TE1, maybe mid-range TE1 soon…if enough other TEs continue to get hurt. Maxx Williams (5-51-0/5) seemed like he had a billion catches in this game. I wouldn’t trust him at all if Hayden Hurst is fully back this week or next. The problem for Hurst coming up is – the Ravens use so many TEs, how’s a rookie going to come in after missing part of the preseason and all the regular-season and just be ‘great’ (for fantasy), while all these other guys are buzzing around? It could be weeks before we see fantasy-viable work from Hurst, if at all this year. O.J. Howard…2-4 weeks out with an MCL. That means more like 4 weeks. If rushed back, he’ll be limited on it. In redraft, you can drop him…BYE week + MCL + Winston-loves-Brate = good-bye this week in redrafts in non-deep roster leagues. -- Look at Joe Flacco (28-42 for 363 yards, 2 TDs/0 INT) go! 8 TDs/2 INTs on the season…2 passing TDs per game. He thrived against Buffalo and Cincy, turning out to be two of the worst pass defenses in the league. He has CLE-TEN the next two weeks…tougher pass defenses, in theory. Lamar Jackson is coming in on red zone plays/goal line plays here and there, which can steal FF-scoring opportunity. I’m just not a big Flacco guy (which means 7 TDs this week). -- The Steelers-DST has run out of gas. They’ve given up a ton of yards and scores. They’re getting sacks and turnovers but giving up a lot of stuff too. First, I keep saying, James Conner (9-19-0, 3-25-0/7) is a ‘C+’ RB in an ‘A’ situation. He’s going to have ‘C’ games sometimes. He’s having more C-D’s lately…and that ‘A’ game from Week 1 is a distant memory. You can pout about it, and he’s been worth pouting over, but he’s THE GUY. No one else touches the ball but him. Rare is the RB who has no one pressuring him for touches. You don’t care about Conner talent/situation assessments as much now that the Bell coming back Week 7 rumors hit. You can’t trade Conner now, so don’t bother. Just hold him through this. An ESPN Steelers reporter talked to Bell for a mini-article and Bell said all the right things…he wants to retire a Steeler, he’s ready-to-go tomorrow if needed, etc. All the stuff you expect him to say. Buried in this nothing story, the writer very slyly slips in (after all the Bell said this and that) that ‘A SOURCE’ says Bell is coming back Week 7. What ‘source’? The source who said he’d be back with the team to make the plane trip to Week 1’s game? The source that said he’d return after Week 1 because ‘he made his point’? What would make Bell want to comeback early to the Steelers, instead of waiting to the very last moment? What, watching Earl Thomas break his foot and take a cart ride Sunday during his free agent to-be season was so compelling? I think Bell is in the Earl Thomas camp…flipping the bird to the ownership/Steelers, and rightfully so. Le’Veon literally has no reason to return until Week 10, when he has to for his own 2019 free agency. What? You think he’s coming back for the love of the team? Don’t make me laugh. He doesn’t care about the Steelers anymore…he’s gone from there in 13 weeks. He’ll never be a Steeler again after 13 weeks (and maybe a playoff game or two). How loyal are you to the company you put a two week notice in with because you’re changing to another company? I can answer = ZERO%. Unless the Steelers pay him, which if they were they would have by now/last year, he’s not coming back until the latest moment he possibly can and then he’ll be slow to get back to speed. In my opinion: No, he’s not coming back. I say that all this is a Steelers rumor to juice trade talks and value. The Steelers aren’t getting much interest, or they have and they’re just trying to turbocharge it. Bell is not coming back to Pittsburgh, I’d say 90% sure. Traded away to play for another team, I can see that 90%+. Playing for the Steelers again? Why would Pittsburgh allow a disgruntled employee who doesn’t want to play or get hurt back into the fold if they have no intention of re-signing him? Why would a bad team trade for Bell when they can wait for his free agency? The Steelers need to do whatever they can to pump the trade valuations and urgency from other teams for a deal…and it has to be a deal where Bell wants to go/sign a deal. I doubt he wants to be a rental. This ‘Bell Returning Week 7’ is akin to the news pumping up a storm event to get you to tune in. I wonder how many extra clicks this ESPN article got by adding that ‘Week 7’ rumor in versus if they didn’t have that in? You want to play this…go try to get Conner for a throw away/disposable RB3/WR3 and hope the other person is suckered and sells to you thinking he got one over. If Bell does comeback – so what? You gave up a random RB/WR3 to take a lot at getting a stable RB touch count and betting against the media lying again.